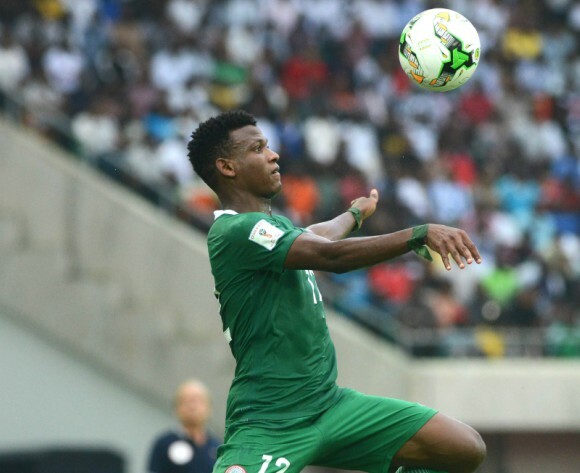 Bursaspor of Turkey defender, Shehu Abdullahi has stated delight with his return to the national team and used the moment to recall how his assist to Arsenal star, Alex Iwobi helped the Super Eagles picked an early ticket to the 2018 World Cup in Russia. Footballlive.ng reported that the former Sokoto United, Kano Pillars and Anorthosis Famagusta of Cyprus full back was excited with the prospects of again making his mark with the Eagles, after missing their last two games, against South Africa in the qualifiers and a friendly international against Uganda, both due to injury. He took his mind back to the penultimate match of the Russia 2018 qualifiers against Zambia at Godswill Akpabio International Stadium, Uyo and recalled with how his cross from the right was sent into Chipolopolo’s net to give Nigeria a ‘superb’ goal and early ticket. With 23 invited players now on the ground in Asaba and sweating it out in training ahead of Friday’s last match of the Africa Cup of Nations qualifiers, Shehu was happy that they had also picked an early ticket to Egypt 2019, with a match to spare.